So Bollywood has done it yet again, just like they have been doing since 2000. In Macao the entire galaxy of glitterati – from mega stars and super stars to the just-arrived starlets and the outdated and near-expiry ones showcased what it claims ‘Indian’ films to world audience. 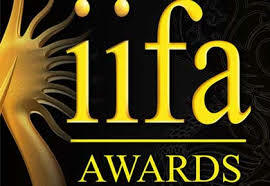 Kudos to the academy for naming the awards aptly – International Indian Film Academy Awards! On the one hand we cry hoarse when Hollywood directors show our slums or one of our own is offered a role in their movies. They are damaging India’s image; it’s in bad taste; this is not the real India…to what a miniscule role; not justified to his/her talent…Headlines scream out, channels pan out and film critics mince no words. And on the other hand, we showcase our selected talent and take heart that we have arrived and soothe our bruised egos. The IIFA act raises two pertinent questions – do we feel hurt or insulted when foreign directors show the poor shades of India or is it an inferiority complex in us, trying to compare ourselves to Hollywood? Else why should only the Bollywood glitz be presented to the world in the name of Indian cinema? Bollywood may be self-dubbed as the face of Indian cinema but it definitely does not represent Indian cinema at large. There are hordes of excellent films being made across the country each year, not to forget the versatile actors in other languages. Aping can be done either clumsily or with elan. If the ‘Bollywood Oscar Academy’ believes only Bollywood glitterati can be compared to Hollywood sheen, so be it. I suggest the Kapoors, Bachchans and Khans endorse a few regional picks and allow the world see the true dimensions and reach of the true Indian cinema. And to begin with, the media need to stop referring to regional films as the ‘poorer cousins of Bollywood’. Until such time, IIFA would be putting yet another great Indian divide on the global stage – ‘The glitz divide’! Don’t we have enough already. Beginning with the Aryan-Dravidian divide; the urban-rural divide; the north-south divide, the rich-poor divide…the list only seems to get longer as the nation progresses. Little wonder foreigners film our country and describe it to their whim and fly out with impunity. All said and done, the unfortunate will always exist.